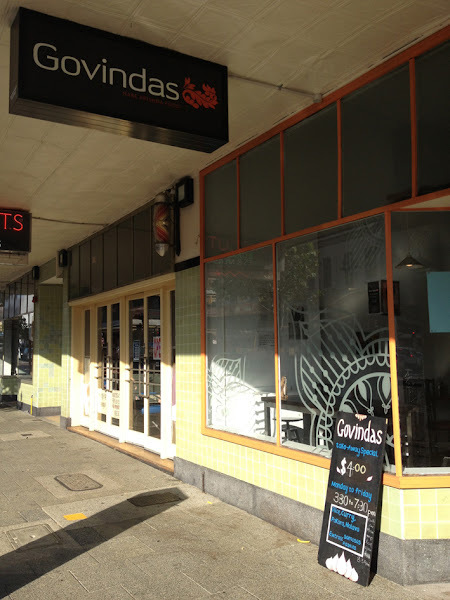 Anyone been to Govindas before? I'm sure most of you have been there a thousand times! Tell you something, it was my first time yesterday! 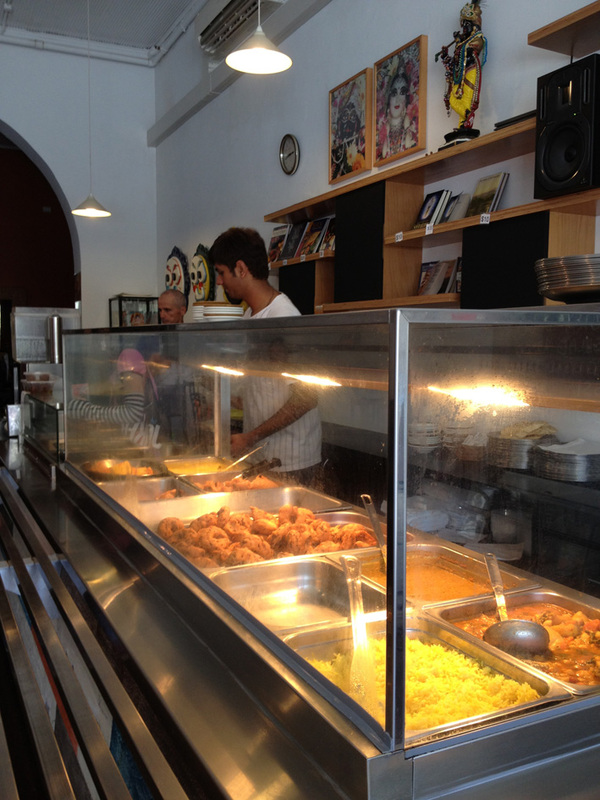 If it wasn't my friend Momoe brought me there for lunch, I wouldn't know the food there is so yum! All you can eat delicious vegetarian food $10!!! 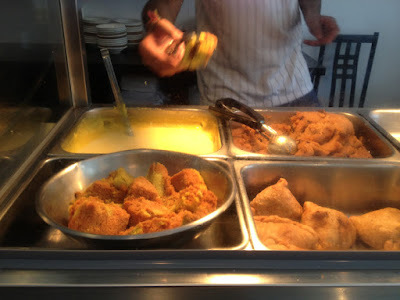 Rice, Dahl, mixed vegetable curry of the day, Pakora, dessert and drinks. Lunch for $4.00 is a steal! I was feeling a bit skeptical after I look at the food in the baymerie. Left side is the sweets, and right side is savouries. Basically, you just need to let him know you want the $10 buffet and food will be served pretty quickly! Look at my $10 meal! 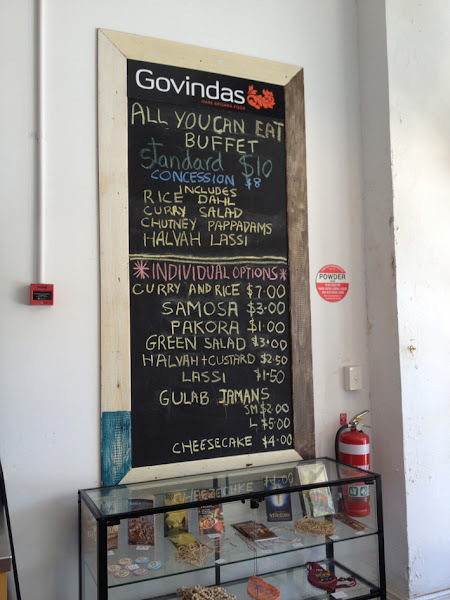 Huge plate of curry, rice, pappadum and a type of cake. A bowl of warm dessert and a cup of lassi. Honestly I have no idea what is what, but I have to say it is freaking delicious! I love it! 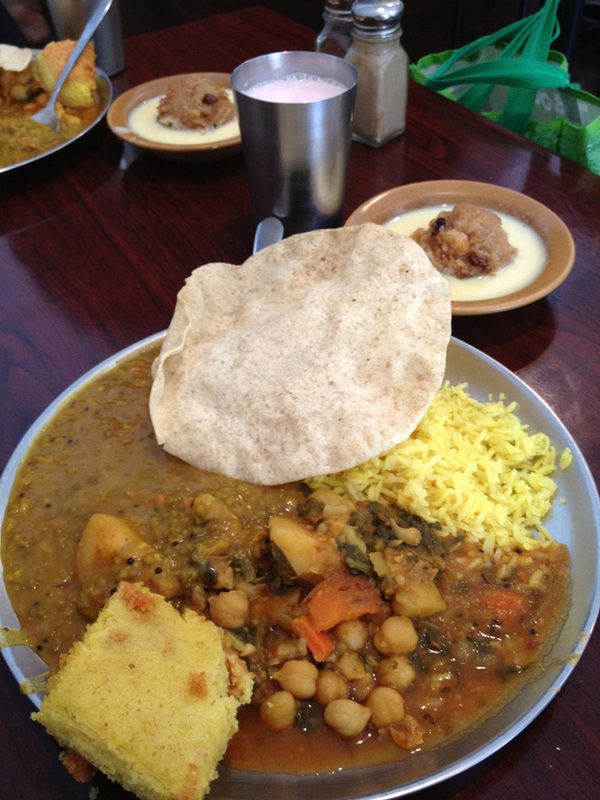 The flavour of rice, potato curry and chick peas curry is perfect! After taking a spoon, you will just wanna shove yourself mad. I would go back there again DEFINITELY.